Copy provided by the publisher in exchange for an honest review. Wow! It literally left me breathless. And speechless. With my jaw dropped. I definitely didn't expect that kind of outcome. I love this book! The plot is centred around Zoe Whittaker, a young woman, a wife to a very wealthy man. From outside, her life looks like a fairytale. A modern time Cinderella. A poor girl, a middle-class worker who finds her Prince Charming and leaves her previous life to live with the rich and famous. But when you scratch the surface, you see a different picture. Zoe is not Zoe. Zoe is Hilary, a person who used to use and sell drugs, a victim of kidnapping, a witness in a human trafficking case who is in the witness protection program. A person who was raised by an adoptive mother, Evelyn, who died a couple of years ago because of cancer. With no money to bury her at the time, Zoe is full of regret not being able to do something for the mother she loved. She is also in the search of her biological mother, Carolyn, and all she has is a birth certificate with possible false information. All she has now is her husband Henry who adores her and showers her with gifts but seems a little bit possessive from time to time. But aren't all the men like that? 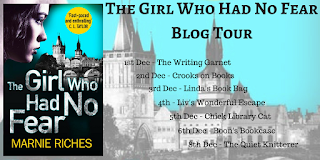 Today is my stop of the blog tour of the fast-paced crime thriller Scared to Death by the amazing author Rachel Amphlett. I hope you'll enjoy my review and this thrilling serial killers' novel. 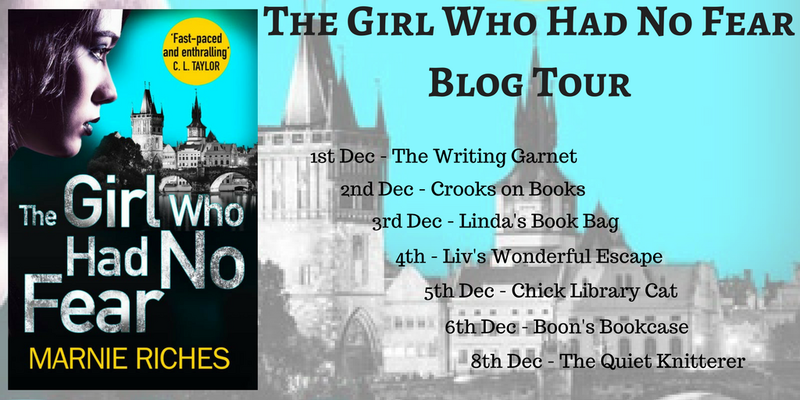 Don't forget to visit all the blog stops and read all the amazing stuff about this book. From the very beginning, the author throws you into a very scary situation. Two people, husband and wife, parents, are in the search of their kidnapped daughter after they paid the ransom. Only to find their daughter's lifeless body. A couple of hours later, while giving the statement in the police station, the father of the kidnapped girl collapses and dies from heart attack. The mother loses her daughter and her husband in a very same day. 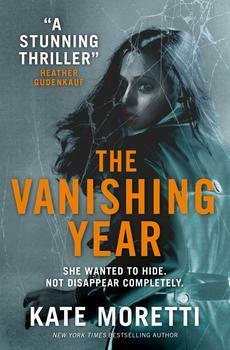 Today I have a great pleasure to welcome one of my favourite crime writers ever, Marnie Riches. She made a big BOOM with the series #TheGirlWho. If you haven't read any of them, GO, GO, GO and get your copies. 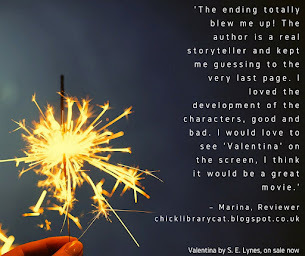 In meantime, read this amazing post of hers and don't forget to visit all the amazing bloggers who hosted this blog tour. I have read crime fiction and thrillers sporadically but with great enthusiasm since my childhood, plundering my mother’s copies of Harold Robbins A Stone for Danny Fisher and Peter Benchley’s Jaws at the tender age of about ten. It was never unusual for me to read something quite adult and thrilling as a child, alongside more traditional age-appropriate fare of C.S. Lewis’ Narnia books. My reading choices were never censored, thankfully. Omnia mea mecum porto. I carry all my things (read:books) with me.